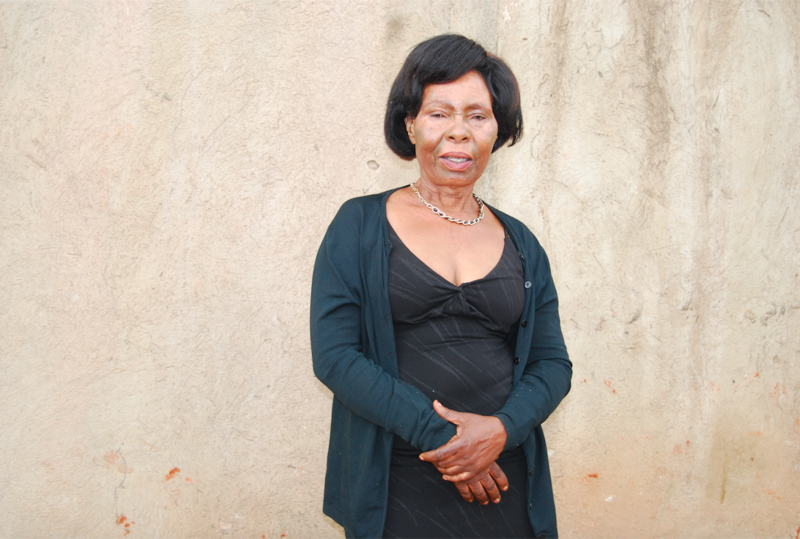 When Justine Nankya left prison, immense pain in her legs. The doctors blamed it on the bare, cold cement floor that was her bed. “When I was locked up in the condemned section, I used to sleep on the floor. I was not allowed to move around, so my legs became heavy,” she narrates. In Uganda’s prison system, all convicts who had been sentenced to death are brought to Luzira Prison and placed in the condemned section. These convicts were not allowed to interact with other prisoners. There were only let out for a few minutes a day to sit in the compound and take fresh air, but under heavy guard. Today, with the landmark ruling that commuted the death sentences of those who are not executed within three years of conviction, the condemned section houses only convicts serving long prison terms. Nankya was convicted of armed robbery in 1995 and sent to Luzira Women’s Prison. Two of those years were spent in solitary confinement. Nankya’s troubles started when she coincidentally met her cousin in a taxi one day. Her cousin who was a serving officer in the National Resistance Army but had taken into armed robbery too, information that Nankya was not privy to. In the taxi, Nankya got engrossed in conversation with her cousin, oblivious of the impending crime he was plotting. When Nankya’s cousin fled to Sweden, she knew her fate had been sealed. For the one year and two months she spent on remand, Nankya worried about her young children aged four and two. In 1995 when Nankya was sentenced to death, her stress shifted from her children to her impending death. By then, kind relatives would bring her children to visit her once in a while.“When I was given the death sentence, I felt the words passing over me; like they were meant for someone else. Something told me I wasn’t going to die,” she narrates. Nankya wore high heeled shoes to court that day but even after the sentence, she walked steadily to the prison truck. “But at night, depression hit me,” she recalls. In Luzira’s condemned section, prisoners are given one meal a day at midday, and then locked indoors. At the time of her confinement, Nankya was the only prisoner in that section. There were no mattresses. After two years, Nankya was taken out of solitary confinement. But she remained in the heavily guarded condemned section for 18 years. Over the years, other prisoners were brought in until they were 28 in total. In 1999, Nankya’s name was put on the list of condemned prisoners whose death warrants were to be sent to the president for endorsement. When the president signed the warrants two months after they had been given to him, any hope that Nankya had of survival, vanished. However, light shone at the end of Nankya’s very dark tunnel, xxxxx after receiving news about the infamous death list. “One of them [the men in Upper Prison] wrote a chit to me saying my name had been removed off the list, long before the officer-in-charge informed me. This was two months after I first received information about the list,” Nankya recalls. Despite the good news, Nankya was stressed about the fate of his friends who were also on the list. She fell ill and developed high blood pressure. On the night of 28 April 1999, a total of 27 prisoners in Upper Prison were hanged. The execution began at 6pm and ended at 3.30am. While Nankya created rapport with the wardens and even helped to babysit their children, the kind treatment towards her did not take away the depression. Nankya took four counselling courses in prison to sharpen her skills. She says prisoners serving long sentences and those condemned to die go into deep depression because many of them are too poor to hire lawyers to appeal their convictions. When the death penalty was reviewed in 2009, Nankya was transferred from the condemned section to the Boma section (general prison) and put in charge of Ward 2 for mentally ill prisoners. Nankya was also given the responsibility of making sure no prisoner escaped. Some of them would hide during lockup time and attempt to jump over the fence. She also sold the officer-in-charge’s food items to the prisoners, such as avocado, cabbage, watermelon and yams. On July 23, 2015, Nankya walked out of prison to a happy reunion with relatives who had traveled in seven cars to receive her. That was the only time it struck her that her name had actually been taken off the death list for real. When the list was made, Nankya was the only convicted woman on death row. The other women were still in court, appealing their cases. To-date, she does not know how her name came to be struck off the list, although she imagines that she had managed to make the wardresses see that she was innocent, and they, in turn, passed on their misgivings to the officer-in-charge. Nankya’s church also gave her some money which she used to rent a room in the Kamwokya ghetto. Her pastor taught her how to cross Kampala’s busy streets. Nankya started a crafts business, but it’s not doing well. So she sells popcorn to make end meet. Nankya lives with a four-year-old child who was abandoned at her doorstep by a fellow ex-convict three years ago. Nyamishana Prudence is a writer at prunyamishana.com. She has been an author at Global Voices since 2013, is a founding partner of Kweeta Uganda (kweeta.com) and This is Uganda (thisisuganda.org ). She has consulted for World bank Uganda office, UN Women, HIVOs East Africa, Centre for Public Interest law, Uganda, providing technical assistance with strategic digital communication tools. 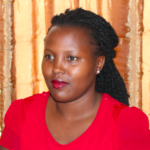 She is currently coordinating a project Story telling for Human Rights and Social Inclusion at Kweeta Uganda. Her twitter handle is @nyapru1.